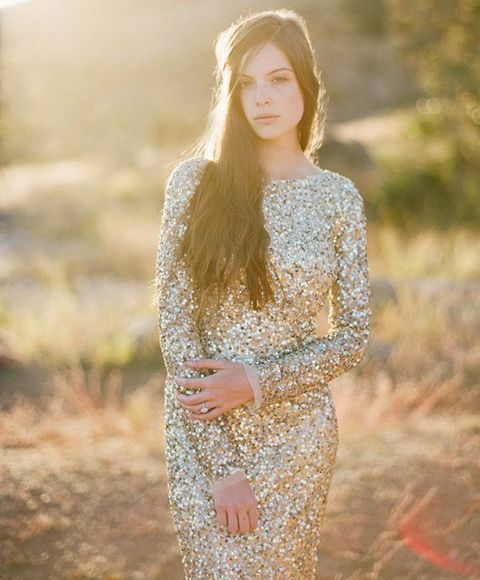 Let’s face it, metallics are more than just a colour scheme for your big day. They’re bold, fun and glamorous! 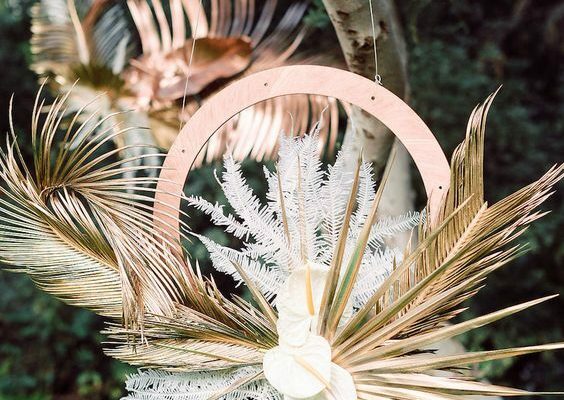 You can instantly liven up any piece of decor or your wedding look by adding one of these sparkly hues to the mix, meaning they’re fantastic for any part of your day. 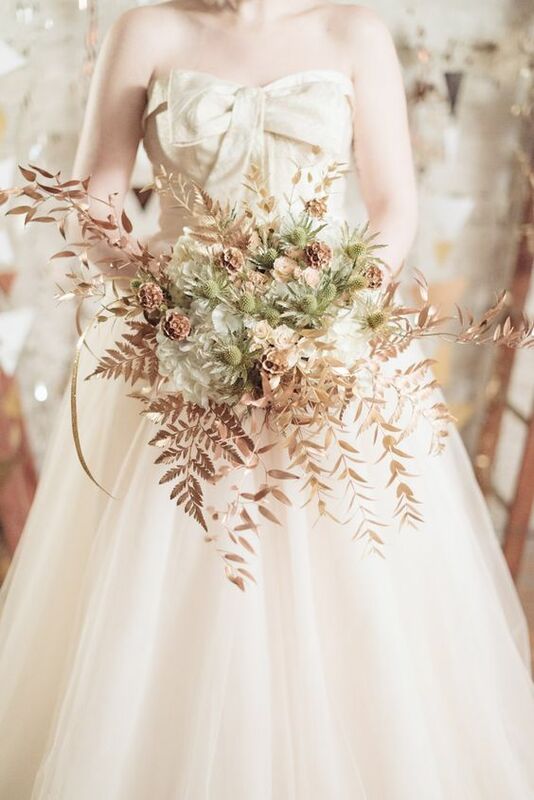 Be inspired by shades of gold, rose, silver and metal for your wedding day. 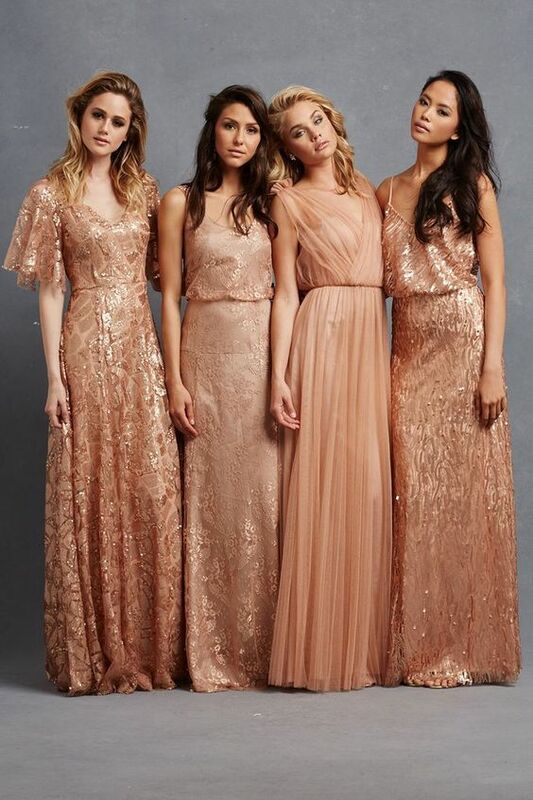 Have your bridesmaids sport sparkling ensembles in a variety of styles to suit their body types. 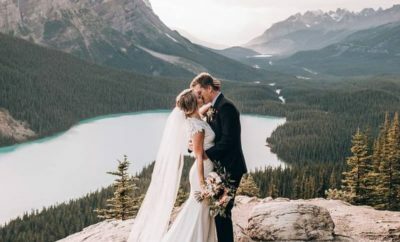 They will feel like princesses by your side while still matching the wedding theme. And if you really feel like making a statement, drench yourself in one of these gorgeous hues for a bold and sophisticated bridal gown. 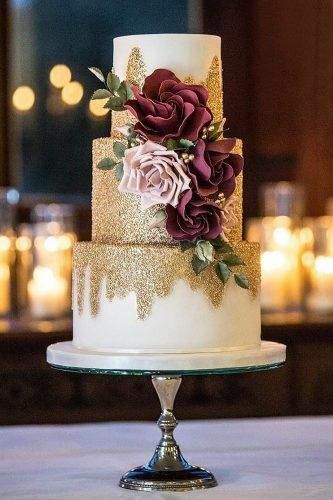 Your wedding cake is where you can really let metallics shine, and they fit with beautiful florals, geometric shapes, marble and many more trends. 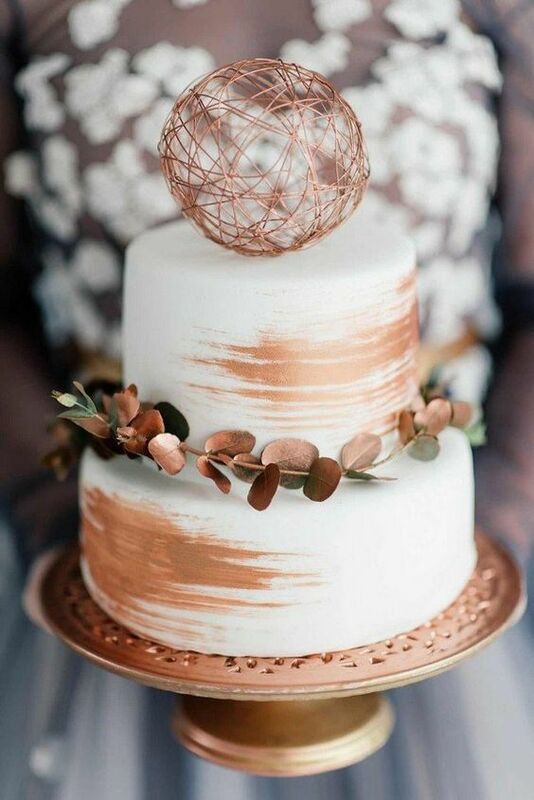 Even just having a simple white 3-tier cake with some metallic finishes is an elegant choice. 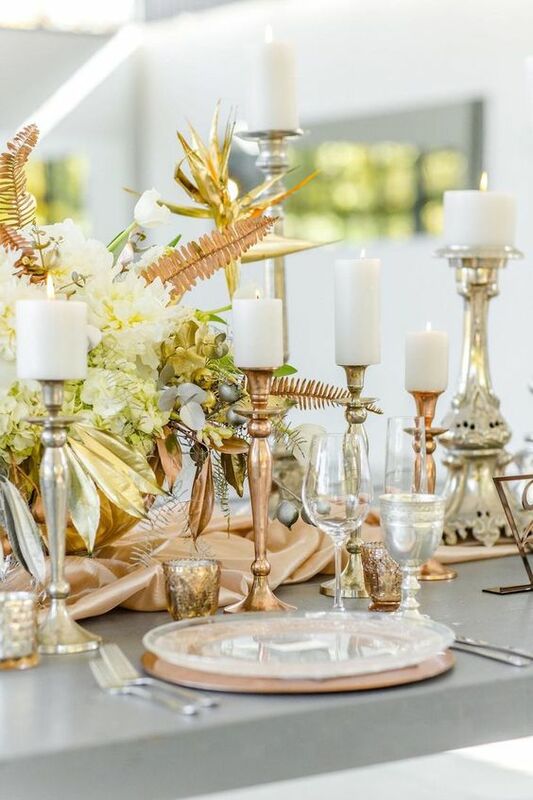 Let your reception decor flourish with an array of gold, copper and silver pieces that provide a warm yet stylish setting for your guests to indulge. 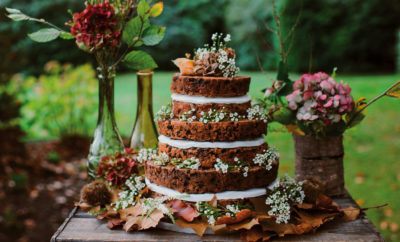 Take it to the silverware and table setting and mix in some greenery for something slightly more rustic, or opt for a glamorous affair with striking pieces. 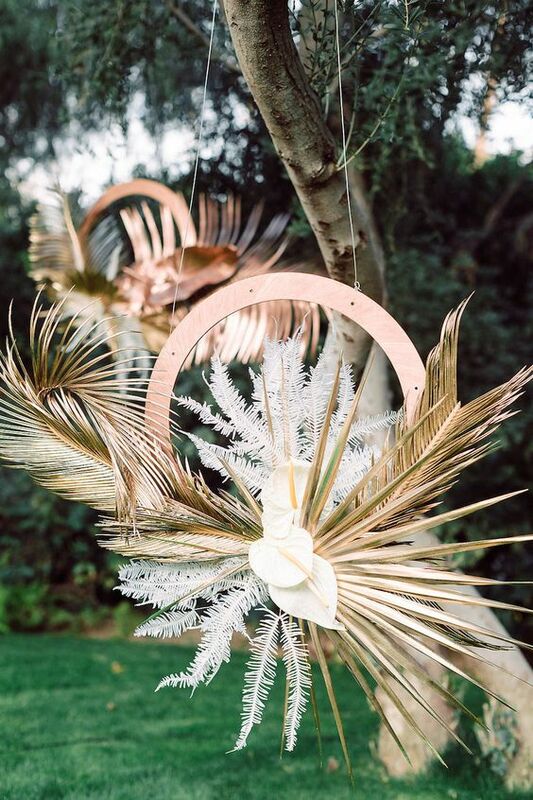 Create a metallic effect with your wedding florals by spray-painting your chosen shades on to fake greenery and flowers and arrange them amongst your bouquet or flower arrangements. 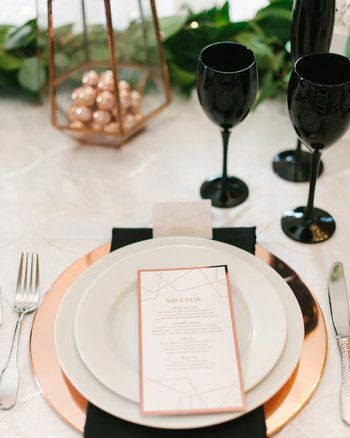 It’s an easy way to glam up your wedding decor and add a touch of sparkle. 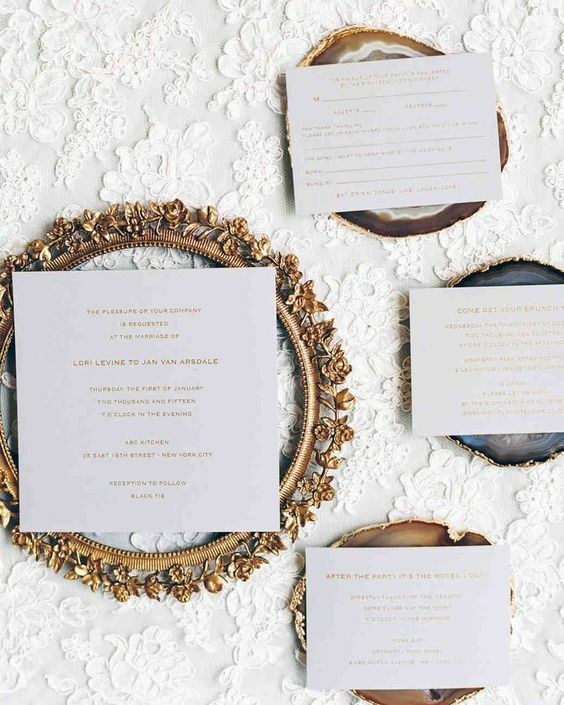 When it comes to wedding stationery, there can never be too much glamour! You can opt for simple touches of metallic to liven up some pastel shades, or make it the focus of your theme. 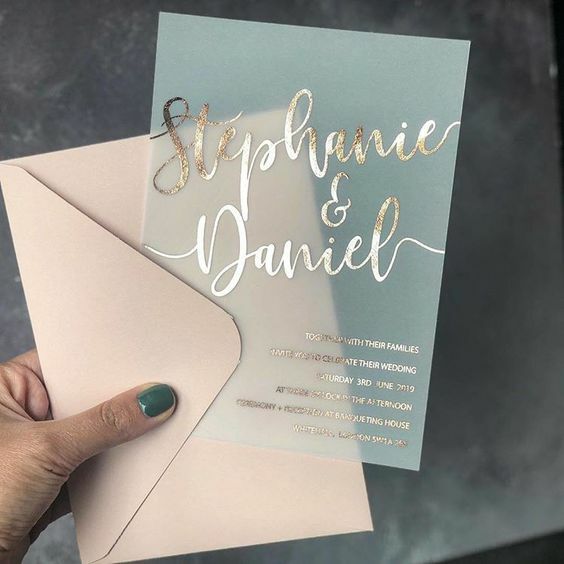 Have this flow throughout your wedding stationery, from the save-the-dates right through to the table menus.